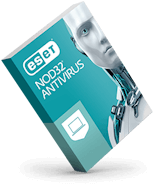 Your download of file eset_nod32_antivirus_live_installer.exe has automatically started. If your download does not start automatically, please click here. Your download of file eset_internet_security_live_installer.exe has automatically started. If your download does not start automatically, please click here. Recommend ESET to friends or family via the "Refer your friend" button in your application. For every successful referral, we reward you and each person who installs ESET Security with one more month of free trial. Secure your Windows, Mac, Android, Linux, or your Business. ESET Cyber Security Pro integrates very well with my MacBook Pro computer and the user interface is simple and streamlined. Need protection for more than 5 endpoints? 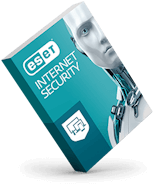 Discover comprehensive ESET protection for your business. Get a free trial license and try remote management and many more business solutions.